The environmental movement (sometimes referred to as the ecology movement), also including conservation and green politics, is a diverse scientific, social, and political movement for addressing environmental issues. Environmentalists advocate the sustainable management of resources and stewardship of the environment through changes in public policy and individual behavior. In its recognition of humanity as a participant in (not enemy of) ecosystems, the movement is centered on ecology, health, and human rights. The environmental movement is an international movement, represented by a range of organizations, from the large to grassroots and varies from country to country. Due to its large membership, varying and strong beliefs, and occasionally speculative nature, the environmental movement is not always united in its goals. The movement also encompasses some other movements with a more specific focus, such as the climate movement. At its broadest, the movement includes private citizens, professionals, religious devotees, politicians, scientists, nonprofit organizations and individual advocates. Early interest in the environment was a feature of the Romantic movement in the early 19th century. The poet William Wordsworth had travelled extensively in the Lake District and wrote that it is a "sort of national property in which every man has a right and interest who has an eye to perceive and a heart to enjoy". The origins of the environmental movement lay in the response to increasing levels of smoke pollution in the atmosphere during the Industrial Revolution. The emergence of great factories and the concomitant immense growth in coal consumption gave rise to an unprecedented level of air pollution in industrial centers; after 1900 the large volume of industrial chemical discharges added to the growing load of untreated human waste. Under increasing political pressure from the urban middle-class, the first large-scale, modern environmental laws came in the form of Britain's Alkali Acts, passed in 1863, to regulate the deleterious air pollution (gaseous hydrochloric acid) given off by the Leblanc process, used to produce soda ash. The modern conservation movement was first manifested in the forests of India, with the practical application of scientific conservation principles. The conservation ethic that began to evolve included three core principles: that the human activity damaged the environment, that there was a civic duty to maintain the environment for future generations, and that scientific, empirically based methods should be applied to ensure this duty was carried out. Sir James Ranald Martin was prominent in promoting this ideology, publishing many medico-topographical reports that demonstrated the scale of damage wrought through large-scale deforestation and desiccation, and lobbying extensively for the institutionalization of forest conservation activities in British India through the establishment of Forest Departments. The Madras Board of Revenue started local conservation efforts in 1842, headed by Alexander Gibson, a professional botanist who systematically adopted a forest conservation program based on scientific principles. This was the first case of state management of forests in the world. Eventually, the government under Governor-General Lord Dalhousie introduced the first permanent and large-scale forest conservation program in the world in 1855, a model that soon spread to other colonies, as well the United States. In 1860, the Department banned the use shifting cultivation. Dr. Hugh Cleghorn's 1861 manual, The forests and gardens of South India, became the definitive work on the subject and was widely used by forest assistants in the subcontinent. Sir Dietrich Brandis joined the British service in 1856 as superintendent of the teak forests of Pegu division in eastern Burma. During that time Burma's teak forests were controlled by militant Karen tribals. He introduced the "taungya" system, in which Karen villagers provided labour for clearing, planting and weeding teak plantations. He formulated new forest legislation and helped establish research and training institutions. The Imperial Forestry School at Dehradun was founded by him. 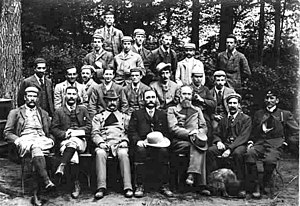 The late 19th century saw the formation of the first wildlife conservation societies. The zoologist Alfred Newton published a series of investigations into the Desirability of establishing a 'Close-time' for the preservation of indigenous animals between 1872 and 1903. His advocacy for legislation to protect animals from hunting during the mating season led to the formation of the Plumage League (later the Royal Society for the Protection of Birds) in 1889. The society acted as a protest group campaigning against the use of great crested grebe and kittiwake skins and feathers in fur clothing. The Society attracted growing support from the suburban middle-classes, and influenced the passage of the Sea Birds Preservation Act in 1869 as the first nature protection law in the world. For most of the century from 1850 to 1950, however, the primary environmental cause was the mitigation of air pollution. The Coal Smoke Abatement Society was formed in 1898 making it one of the oldest environmental NGOs. It was founded by artist Sir William Blake Richmond, frustrated with the pall cast by coal smoke. Although there were earlier pieces of legislation, the Public Health Act 1875 required all furnaces and fireplaces to consume their own smoke. Systematic and general efforts on behalf of the environment only began in the late 19th century; it grew out of the amenity movement in Britain in the 1870s, which was a reaction to industrialization, the growth of cities, and worsening air and water pollution. Starting with the formation of the Commons Preservation Society in 1865, the movement championed rural preservation against the encroachments of industrialisation. 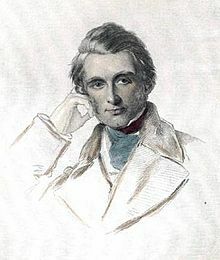 Robert Hunter, solicitor for the society, worked with Hardwicke Rawnsley, Octavia Hill, and John Ruskin to lead a successful campaign to prevent the construction of railways to carry slate from the quarries, which would have ruined the unspoilt valleys of Newlands and Ennerdale. This success led to the formation of the Lake District Defence Society (later to become The Friends of the Lake District). An early "Back-to-Nature" movement, which anticipated the romantic ideal of modern environmentalism, was advocated by intellectuals such as John Ruskin, William Morris, and Edward Carpenter, who were all against consumerism, pollution and other activities that were harmful to the natural world. The movement was a reaction to the urban conditions of the industrial towns, where sanitation was awful, pollution levels intolerable and housing terribly cramped. Idealists championed the rural life as a mythical Utopia and advocated a return to it. John Ruskin argued that people should return to a small piece of English ground, beautiful, peaceful, and fruitful. We will have no steam engines upon it . . . we will have plenty of flowers and vegetables . . . we will have some music and poetry; the children will learn to dance to it and sing it. The movement in the United States began in the late 19th century, out of concerns for protecting the natural resources of the West, with individuals such as John Muir and Henry David Thoreau making key philosophical contributions. Thoreau was interested in peoples' relationship with nature and studied this by living close to nature in a simple life. 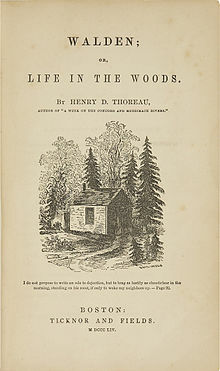 He published his experiences in the book Walden, which argues that people should become intimately close with nature. Muir came to believe in nature's inherent right, especially after spending time hiking in Yosemite Valley and studying both the ecology and geology. He successfully lobbied congress to form Yosemite National Park and went on to set up the Sierra Club in 1892. The conservationist principles as well as the belief in an inherent right of nature were to become the bedrock of modern environmentalism. However, the early movement in the U.S. developed with a contradiction; preservationists like John Muir wanted land and nature set aside for its own sake, and conservationists, such as Gifford Pinchot (appointed as the first Chief of the US Forest Service from 1905-1910), wanted to manage natural resources for human use. In the 20th century, environmental ideas continued to grow in popularity and recognition. Efforts were beginning to be made to save the wildlife, particularly the American bison. The death of the last passenger pigeon as well as the endangerment of the American bison helped to focus the minds of conservationists and popularize their concerns. In 1916 the National Park Service was founded by US President Woodrow Wilson. Pioneers of the movement called for more efficient and professional management of natural resources. They fought for reform because they believed the destruction of forests, fertile soil, minerals, wildlife and water resources would lead to the downfall of society. The group that has been the most active in recent years is the climate movement. The U.S movement began to take off after World War II as people began to recognize the costs of environmental negligence, disease, and the expansion of air and water pollution through the occurrence of several environmental disasters that occurred post-World War II. Aldo Leopold wrote "A Sand County Almanac" in the 1940s. He believed in a land ethic that recognized that maintaining the "beauty, integrity, and health of natural systems" as a moral and ethical imperative. Another major literary force in the promotion of the environmental movement was Rachel Carson's Silent Spring about declining bird populations due to DDT, an insecticide, pollution and man's attempts to control nature through use of synthetic substances. Her core message for her readers, was to identify the complex and fragile ecosystem and the threats facing the people. In 1958 Carson started to work on her last book, with an idea that nature needs human protection. Her influence was radioactive fallout, smog, food additives, and pesticide use. Carson's main focus was on pesticides, which led her to identify nature as fragile and the use of technology dangerous to humans and other species. Both of these books helped bring the issues into the public eye  Rachel Carson's Silent Spring sold over two million copies. The first Earth Day was celebrated on 22 April 1970. Its founder, former Wisconsin Senator Gaylord Nelson, was inspired to create this day of environmental education and awareness after seeing the oil spill off the coast of Santa Barbara in 1969. Greenpeace was created in 1971 as an organization that believed that political advocacy and legislation were ineffective or inefficient solutions and supported non-violent action. 1980 saw the creation of Earth First!, a group with an ecocentric view of the world – believing in equality between the rights of humans to flourish, the rights of all other species to flourish and the rights of life-sustaining systems to flourish. In the 1950s, 1960s, and 1970s, several events illustrated the magnitude of environmental damage caused by humans. In 1954, a hydrogen bomb test at Bikini Atoll exposed the 23 man crew of the Japanese fishing vessel Lucky Dragon 5 to radioactive fallout. In 1967 the oil tanker Torrey Canyon ran aground off the coast of Cornwall, and in 1969 oil spilled from an offshore well in California's Santa Barbara Channel. In 1971, the conclusion of a lawsuit in Japan drew international attention to the effects of decades of mercury poisoning on the people of Minamata. At the same time, emerging scientific research drew new attention to existing and hypothetical threats to the environment and humanity. Among them were Paul R. Ehrlich, whose book The Population Bomb (1968) revived Malthusian concerns about the impact of exponential population growth. Biologist Barry Commoner generated a debate about growth, affluence and "flawed technology." Additionally, an association of scientists and political leaders known as the Club of Rome published their report The Limits to Growth in 1972, and drew attention to the growing pressure on natural resources from human activities. In 1972, the United Nations Conference on the Human Environment was held in Stockholm, and for the first time united the representatives of multiple governments in discussion relating to the state of the global environment. This conference led directly to the creation of government environmental agencies and the UN Environment Program. By the mid-1970s anti-nuclear activism had moved beyond local protests and politics to gain a wider appeal and influence. Although it lacked a single co-ordinating organization the anti-nuclear movement's efforts gained a great deal of attention, especially in the United Kingdom and United States. In the aftermath of the Three Mile Island accident in 1979, many mass demonstrations took place. The largest one was held in New York City in September 1979 and involved 200,000 people. Since the 1970s, public awareness, environmental sciences, ecology, and technology have advanced to include modern focus points like ozone depletion, global climate change, acid rain, mutation breeding, genetically modified crops and genetically modified livestock. With mutation breeding, crop cultivars were created by exposing seeds to chemicals or radiation. Many of these cultivars are still being used today. Genetically modified plants and animals are said by some environmentalists to be inherently bad because they are unnatural. Others point out the possible benefits of GM crops such as water conservation through corn modified to be less "thirsty" and decreased pesticide use through insect - resistant crops. They also point out that some genetically modified livestock have accelerated growth which means there are shorter production cycles which again results in a more efficient use of feed. Besides genetically modified crops and livestock, synthetic biology is also on the rise and environmentalists argue that these also contain risks, if these organisms were ever to end up in nature. This, as unlike with genetically modified organisms, synthetic biology even uses base pairs that do not exist in nature. Beginning in the conservation movement at the beginning of the 20th century, the contemporary environmental movement's roots can be traced back to Murray Bookchin's Our Synthetic Environment, Paul R. Ehrlich's The Population Bomb, and Rachel Carson's Silent Spring. American environmentalists have campaigned against nuclear weapons and nuclear power in 1960s and 1970s, acid rain in the 1980s, ozone depletion and deforestation in the 1990s, and most recently climate change and global warming. The United States passed many pieces of environmental legislation in the 1970s, such as the Clean Water Act, the Clean Air Act, the Endangered Species Act, and the National Environmental Policy Act. These remain as the foundations for current environmental standards. After the International Environmental Conference in Stockholm in 1972 Latin American officials returned with a high hope of growth and protection of the fairly untouched natural resources. Governments spent millions of dollars, and created departments and pollution standards. However, the outcomes have not always been what officials had initially hoped. Activists blame this on growing urban populations and industrial growth. Many Latin American countries have had a large inflow of immigrants that are living in substandard housing. Enforcement of the pollution standards is lax and penalties are minimal; in Venezuela, the largest penalty for violating an environmental law is 50,000 bolivar fine ($3,400) and 3 days in jail. In the 1970s or 1980s many Latin American countries were transitioning from military dictatorships to democratic governments. In 1992, Brazil came under scrutiny with the United Nations Conference on Environment and Development in Rio de Janeiro. Brazil has a history of little environmental awareness. It has the highest biodiversity in the world and also the highest amount of habitat destruction. One-third of the world's forests lie in Brazil, and they have the largest river, The Amazon, and the largest rainforest, the Amazon Rainforest. The people have raised funds to create state parks and increase the consciousness of people who have destroyed forests and polluted waterways. They have several organizations that have fronted the environmental movement. The Blue Wave Foundation was created in 1989 and has partnered with advertising companies to promote national education campaigns to keep Brazil's beaches clean. Funatura was created in 1986 and is a wildlife sanctuary program. Pro-Natura International is a private environmental organization created in 1986. In 1952 the Great London Smog episode killed thousands of people and led the UK to create the first Clean Air Act in 1956. In 1957 the first major nuclear accident occurred in Windscale in northern England. The supertanker Torrey Canyon ran aground off the coast of Cornwall in 1967 causing the first major oil leak that killed marine life along the coast. In 1972, in Stockholm, the United Nations Conference on the Human Environment created the UN Environment Programme. The EU's environmental policy was formally founded by a European Council declaration and the first five-year environment programme was adopted. The main idea of the declaration was that prevention is better than the cure and the polluter should pay. 1979 saw the partial meltdown of Three Mile Island in the USA. In the 1980s the green parties that were created a decade before began to have some political success.. In 1986, there was a nuclear accident in Chernobyl, Ukraine. The end of the 1980s and start of the 1990s saw the fall of communism across central and Eastern Europe, the fall of the [Berlin Wall], and the Union of East and West Germany. In 1992 there was a UN summit held in Rio de Janeiro where Agenda 21 was adopted. The Kyoto Protocol was created in 1997 which set specific targets and deadlines to reduce global greenhouse gas emissions. In the early 2000s activists believed that environmental policy concerns were overshadowed by energy security, globalism, and terrorism. The environmental movement is reaching the less developed world with different degrees of success. The Arab world, including the Middle East and North Africa, has different adaptations of the environmental movement. Countries on the Persian Gulf have high incomes and rely heavily on the large amount of energy resources in the area. Each country in the Arab world has varying combinations of low or high amounts of natural resources and low or high amounts of labor. The League of Arab States has one specialized sub-committee, of 12 standing specialized subcommittee in the Foreign Affairs Ministerial Committees, which deals with Environmental Issues. Countries in the League of Arab States have demonstrated an interest in environmental issue, on paper some environmental activists have doubts about the level of commitment to environmental issues;; being a part of the world community may have obliged these countries to portray concern for the environment. Initial level of environmental awareness may be the creation of a ministry of the environment. The year of establishment of a ministry is also indicative of level of engagement. Saudi Arabia was the first to establish environmental law in 1992 followed by Egypt in 1994. Somalia is the only country without environmental law. In 2010 the Environmental Performance Index listed Algeria as the top Arab country at 42 of 163; Morocco was at 52 and Syria at 56. The Environmental Performance Index measures the ability of a country to actively manage and protect their environment and the health of their citizens. A weighted index is created by giving 50% weight for environmental health objective (health) and 50% for ecosystem vitality (ecosystem); values range from 0-100. No Arab countries were in the top quartile, and 7 countries were in the lowest quartile. South Korea and Taiwan experienced similar growth in industrialization from 1965-1990 with few environmental controls. South Korea's Han River and Nakdong River were so polluted by unchecked dumping of industrial waste that they were close to being classified as biologically dead. Taiwan's formula for balanced growth was to prevent industrial concentration and encourage manufacturers to set up in the countryside. This led to 20% of the farmland being polluted by industrial waste and 30% of the rice grown on the island was contaminated with heavy metals. Both countries had spontaneous environmental movements drawing participants from different classes. Their demands were linked with issues of employment, occupational health, and agricultural crisis. They were also quite militant; the people learned that protesting can bring results. The polluting factories were forced to make immediate improvements of the conditions or pay compensation to victims. Some were even forced to shut down or move locations. The people were able to force the government to come out with new restrictive rules on toxins, industrial waste, and air pollution. All of these new regulations caused the migration of those polluting industries from Taiwan and South Korea to China and other countries in Southeast Asia with more relaxed environmental laws. The Chinese have realized the ability of riots and protests to have success and had led to an increase in disputes in China by 30% since 2005 to more than 50,000 events. Protests cover topics such as environmental issues, land loss, income, and political issues. They have also grown in size from about 10 people or fewer in the mid-1990s to 52 people per incident in 2004. China has more relaxed environmental laws than other countries in Asia, so many polluting factories have relocated to China causing pollution in China. Water pollution, water scarcity, soil pollution, soil degradation, and desertification are issues currently in discussion in China. The groundwater table of the North China Plain is dropping by 1.5 m (5 ft) per year. This groundwater table occurs in the region of China that produces 40% of the country's grain. The Center for Legal Assistance to Pollution Victims works to confront legal issues associated with environmental justice by hearing court cases that expose the narratives of victims of environmental pollution. [page needed] As China continues domestic economic reforms and integration into global markets, there emerge new linkages between China's domestic environmental degradation and global econological crisis. Comparing the experiend of China, South Korea, Japan and Taiwan reveals that the impact of environmental activism is heavily modified by domestic political context, particularly the level of integration of mass-based protests and policy advocacy NGOs. Hinted by the history of neighboring Japan and South Korea, the possible convergence of NGOs and anti-pollution protests will have significant implications for Chinese environmental politics in the coming years. Environmental and public health is an ongoing struggle within India. The first seed of an environmental movement in India was the foundation in 1964 of Dasholi Gram Swarajya Sangh, a labour cooperative started by Chandi Prasad Bhatt. It was inaugurated by Sucheta Kriplani and founded on a land donated by Shyma Devi. This initiative was eventually followed up with the Chipko movement starting in 1974. The most severe single event underpinning the movement was the Bhopal gas leakage on 3 December 1984. 40 tons of methyl isocyanate was released, immediately killing 2,259 people and ultimately affecting 700,000 citizens. India has a national campaign against Coca-Cola and Pepsi Cola plants due to their practices of drawing ground water and contaminating fields with sludge. The movement is characterized by local struggles against intensive aquaculture farms. The most influential part of the environmental movement in India is the anti-dam movement. Dam creation has been thought of as a way for India to catch up with the West by connecting to the power grid with giant dams, coal or oil-powered plants, or nuclear plants. Jhola Aandolan a mass movement is conducting as fighting against polyethylene carry bags uses and promoting cloth/jute/paper carry bags to protect environment & nature. Activists in the Indian environmental movement consider global warming, sea levels rising, and glaciers retreating decreasing the amount of water flowing into streams to be the biggest challenges for them to face in the early twenty-first century. Eco Revolution movement has been started by Eco Needs Foundation  in 2008 from Aurangabad Maharashtra state .The pioneer of Eco Revolution movement is Prof.Priyanand Agale  more than 20,000 youths associated with this movement to strengthen this movement Eco Needs Foundation organized mass environmental awareness programmes. To sought participation of children, Youths, researchers, spiritual and political leaders.Foundation had conducted International conferences at India Eco Revolution 2011  which concluded with Aurangabad Declaration for River Conservation. Eco Revolution 2012 conference was conducted in Sri Lanka which concluded with Colombo Declaration on spirituality for environmental conservation  in collaboration with Sri Lanka government. Eco Revolution 2013  was conducted at Nepal which concluded with the Phokhara Declaration for effect of climate change at high altitude .Foundation launched the worlds first environmental social networking site ecoface.in. Foundation developed model of sustainable development at Dhanora village of Dholpur, Rajasthan as a India's First smart village. Eco Needs Foundation started World Rights to Water Day  20 March 2017. Mithun Roy Chowdhury, President, Save Nature & Wildlife (SNW), Bangladesh, insisted that the people of Bangladesh raise their voice against Tipaimukh Dam, being constructed by the Government of India. He said Tipaimukh Dam project will be another "death trap for Bangladesh like the Farakka Barrage," that would lead to an environmental disaster for 50 million people in the Meghna River basin. He said that this project will start desertification in Bangladesh. Environmental science is the study of the interactions among the physical, chemical and biological components of the environment. Ecology, or ecological science, is the scientific study of the distribution and abundance of living organisms and how these properties are affected by interactions between the organisms and their environment. The environmental movement is broad in scope and can include any topic related to the environment, conservation, and biology, as well as preservation of landscapes, flora, and fauna for a variety of purposes and uses. See List of environmental issues. When an act of violence is committed against someone or some institution in the name of environmental defense it is referred to as eco terrorism. The conservation movement seeks to protect natural areas for sustainable consumption, as well as traditional (hunting, fishing, trapping) and spiritual use. Environmental conservation is the process in which one is involved in conserving the natural aspects of the environment. Whether through reforestation, recycling, or pollution control, environmental conservation sustains the natural quality of life. Environmental justice is a movement that began in the U.S. in the 1980s and seeks an end to environmental racism and prevent low-income and minority communities from an unbalanced exposure to highways, garbage dumps, and factories. The Environmental Justice movement seeks to link "social" and "ecological" environmental concerns, while at the same time preventing de facto racism, and classism. This makes it particularly adequate for the construction of labor-environmental alliances. Ecology movement could involve the Gaia Theory, as well as Value of Earth and other interactions between humans, science, and responsibility. Bright green environmentalism is a currently popular sub-movement, which emphasizes the idea that through technology, good design and more thoughtful use of energy and resources, people can live responsible, sustainable lives while enjoying prosperity. Deep Ecology is an ideological spinoff of the ecology movement that views the diversity and integrity of the planetary ecosystem, in and for itself, as its primary value. The anti-nuclear movement opposes the use of various nuclear technologies. The initial anti-nuclear objective was nuclear disarmament and later the focus began to shift to other issues, mainly opposition to the use of nuclear power. There have been many large anti-nuclear demonstrations and protests. Major anti-nuclear groups include Campaign for Nuclear Disarmament, Friends of the Earth, Greenpeace, International Physicians for the Prevention of Nuclear War, and the Nuclear Information and Resource Service. Many environmental lawsuits question the legal rights of property owners, and whether the general public has a right to intervene with detrimental practices occurring on someone else's land. Environmental law organizations exist all across the world, such as the Environmental Law and Policy Center in the midwestern United States. Christopher D. Stone's 1972 essay, "Should trees have standing?" addressed the question of whether natural objects themselves should have legal rights. In the essay, Stone suggests that his argument is valid because many current rightsholders (women, children) were once seen as objects. Numerous criticisms and ethical ambiguities have led to growing concerns about technology, including the use of potentially harmful pesticides, water additives like fluoride, and the extremely dangerous ethanol-processing plants. NIMBY syndrome refers to public outcry caused by knee-jerk reaction to an unwillingness to be exposed to even necessary developments. Some serious biologists and ecologists created the scientific ecology movement which would not confuse empirical data with visions of a desirable future world. Today, the sciences of ecology and environmental science, in addition to any aesthetic goals, provide the basis of unity to some of the serious environmentalists. As more information is gathered in scientific fields, more scientific issues like biodiversity, as opposed to mere aesthetics, are a concern to environmentalists. Conservation biology is a rapidly developing field. In recent years, the environmental movement has increasingly focused on global warming as one of the top issues. As concerns about climate change moved more into the mainstream, from the connections drawn between global warming and Hurricane Katrina to Al Gore's 2006 documentary film An Inconvenient Truth, more and more environmental groups refocused their efforts. In the United States, 2007 witnessed the largest grassroots environmental demonstration in years, Step It Up 2007, with rallies in over 1,400 communities and all 50 states for real global warming solutions. Many religious organizations and individual churches now have programs and activities dedicated to environmental issues. The religious movement is often supported by interpretation of scriptures. Most major religious groups are represented including Jewish, Islamic, Anglican, Orthodox, Evangelical, Zoroastrian, Christian and Catholic. Radical environmentalism emerged from an ecocentrism-based frustration with the co-option of mainstream environmentalism. The radical environmental movement aspires to what scholar Christopher Manes calls "a new kind of environmental activism: iconoclastic, uncompromising, discontented with traditional conservation policy, at times illegal ..." Radical environmentalism presupposes a need to reconsider Western ideas of religion and philosophy (including capitalism, patriarchy and globalization) sometimes through "resacralising" and reconnecting with nature. Greenpeace represents an organisation with a radical approach, but has contributed in serious ways towards understanding of critical issues, and has a science-oriented core with radicalism as a means to media exposure. Groups like Earth First! take a much more radical posture. Some radical environmentalist groups, like Earth First! and the Earth Liberation Front, illegally sabotage or destroy infrastructural capital. Conservative critics of the movement characterize it as radical and misguided. Especially critics of the United States Endangered Species Act, which has come under scrutiny lately, and the Clean Air Act, which they said conflict with private property rights, corporate profits and the nation's overall economic growth. Critics also challenge the scientific evidence for global warming. They argue that the environmental movement has diverted attention from more pressing issues. ^ Fleming, James R.; Bethany R. Knorr. "History of the Clean Air Act". American Meteorological Society. Retrieved 2006-02-14. ^ Stebbing, E.P (1922). The Forests of India. 1. pp. 72–81. ^ MUTHIAH, S. (5 November 2007). "A life for forestry". Metro Plus Chennai. Chennai, India: The Hindu. Retrieved 2009-03-09. ^ Cleghorn, Hugh Francis Clarke (1861). The Forests and Gardens of South India (Original from the University of Michigan, Digitized 10 February 2006 ed.). London: W. H. Allen. OCLC 301345427. ^ Oliver, J.W. (1901). "Forestry in India". The Indian Forester. v.27 (Original from Harvard University, Digitized 4 April 2008 ed.). Allahabad: R. P. Sharma, Business Manager, Indian Forester. pp. 617–623. ^ King, KFS (1968). Agro-silviculture (the taungya system). Bulletin no. 1. University of Ibadan / Dept. of Forestry. ^ Weil, Benjamin (2006). "Conservation, Exploitation, and Cultural Change in the Indian Forest Service, 1875-1927". Environmental History. 11 (2): 319–343. doi:10.1093/envhis/11.2.319. JSTOR 3986234. (Registration required (help)). ^ Gadgil, Madhav; Guha, Ramachandra (1993). This Fissured Land: An Ecological History of India. ISBN 9780520082960. ^ a b "Milestones". RSPB. Retrieved 19 February 2007. ^ G. Baeyens, M. L. Martinez (2007). Coastal Dunes: Ecology and Conservation. Springer. p. 282. ^ Gould, Peter C. (1988). Early Green Politics, Brighton, Harvester Press, pgs. 15-19, and Wall, Derek, (1994) Green History: A Reader. London, Routledge, pgs. 9-14. ^ Marsh, Jan (1982). Back to the Land: The Pastoral Impulse in England, 1880-1914. Quartet Books. ISBN 9780704322769. ^ "'Back to nature' movement nothing new - dates back to 1880". Retrieved 2012-12-17. ^ a b c d e f g Chapman, Roger (2010). Culture wars: an encyclopedia of issues, viewpoints, and voices. M.E. Sharpe, Inc. p. 162. ISBN 978-0-7656-1761-3. ^ Hunt, Michael H. (2004). The World Transformed: 1945 to the present. New York, New York: Oxford University Press. pp. 215–217. ISBN 9780199371020. ^ Griswold, Eliza (21 September 2012). "How 'Silent Spring' Ignited the Environmental Movement". The New York Times. Retrieved 22 February 2013. ^ Most of the information in this section comes from John McCormick, The Global Environmental Movement, London: John Wiley, 1995. ^ Walker, J. Samuel (2004). Three Mile Island: A Nuclear Crisis in Historical Perspective (Berkeley: University of California Press), pp. 10-11. ^ Hrebenar, Ronald J.; Scott, Ruth K. (16 August 1997). Interest Group Politics in America. M.E. Sharpe. p. 149. ISBN 9781563247033. Retrieved 16 August 2018 – via Google Books. ^ Giugni, Marco (16 August 2018). Social Protest and Policy Change: Ecology, Antinuclear, and Peace Movements in Comparative Perspective. Rowman & Littlefield. p. 45. ISBN 9780742518278. Retrieved 16 August 2018 – via Google Books. ^ Herman, Robin (24 September 1979). "Nearly 200,000 Rally to Protest Nuclear Energy". The New York Times. p. B1. ^ Rincon, Paul (25 February 2015). "Is the world ready for GM animals?". Bbc.com. Retrieved 16 August 2018. ^ "FUTURE BRIEF : Synthetic biology and biodiversity" (PDF). Ec.europa.eu. September 2016. Retrieved 16 August 2018. ^ a b c Elkington, John (2007). Environmental Movement: The A to Z of Corporate Social Responsibility. Hoboken, NJ: John Wiley & Sons Ltd.
^ Figdor, Carrie (24 July 1988). "Latin America's Environmental Movement Seen as Well-Meaning but Inadequate". Los Angeles Times. Retrieved 20 February 2013. ^ Brooke, Elizabeth Heilman (2 June 1992). "As Forests Fall, Environmental Movement Rises in Brazil". The New York Times. Retrieved 20 February 2013. ^ "Celebrating Europe and its environment". European Environment Agency. Retrieved 21 February 2013. ^ Djoundourian, Salpie (2011-08-01). "Environmental movement in the Arab world". Environment, Development and Sustainability. 13 (4): 743–758. doi:10.1007/s10668-011-9287-7. ^ Wu and Wen (2015). Nongovernmental organizations and environmental protests: Impacts in East Asia (chapter 7 of Routledge Handbook of Environment and Society in Asia). London: Routledge. pp. 105–119. ISBN 978-0-415-65985-7. ^ a b c Bello, Walden. "The Environmental Movement in the Global South". Transnational Institute. Environmental Justice. Retrieved 15 February 2013. ^ Fengshi Wu (2009). "Environmental Activism and Civil Society Development in China: 15 Years in Review" (PDF). Harvard-Yenching Institute Working Paper Series. Retrieved 15 August 2018. ^ Christoph Steinhardt; Fengshi Wu (2016). "In the Name of the Public: Environmental Protest and the Changing Landscape of Popular Contention in China". The China Journal. 75: 61–82. doi:10.1086/684010. ^ Guha, Ramachandra. The Last Liberal. Permanent Black. pp. 27–28. ^ Yang, Guobin (2005). "Environmental NGOs and Institutional Dynamics in China". The China Quarterly. 181: 44–66. doi:10.1017/S0305741005000032. ^ "Welcome to Eco Needs Foundation". Econeeds.org. ^ Karnad, Raghu. "In Aurangabad, Aqueducts Serve a Thirsty City Even as They're Destroyed". Thewire.in. ^ "LIST OF IWP LIFE MEMBERS" (PDF). Cwp-india.org. Retrieved 16 August 2018. ^ "Photographic image of paper" (JPG). Econeeds.org. Retrieved 16 August 2018. ^ "Photographic image of paper" (PDF). Econeeds.org. Retrieved 16 August 2018. ^ "Eco-revolution conference concludes". Dailymirror.lk. ^ "International Conference wants constitution for Eco-Revolution". News.webindia123.com. ^ "Rajasthan plans 'Smart Village' - Daily World". Dailyworld.in. 10 November 2016. Retrieved 16 August 2018. ^ "Rajasthan Government comes up with Smart Village initiative, Inspired by Centre's Smart Cities Mission - NewsGram". Newsgram.com. 11 November 2016. ^ "जनसहयोग की बदौलत स्मार्ट विलेज की राह पर धनौरा गांव". Rajasthanrika.patrika.com. ^ "यहां न सड़क थी ना शौचालय, दो साल में ऐसे बना स्मार्ट गांव". Bhaskar.com. 17 July 2016. ^ "Smart Village, Dhanora". Econeeds.org. ^ "- Promoter Details". NightLinx.com. ^ "Protest against the Tipaimukh Dam by Save Nature & Wildlife (SNW), Bangladesh". Newstoday.com.bd. ^ "Long march against Tipai dam begins". The Daily Star. ^ "Protest against Tipaimukh dam". Thefinancialexpress-bd.com. ^ "Protest tipai Dam". Kalerkantho.com. ^ Jakopovich, Dan (1970-01-01). "Uniting to Win: Labor-Environmental Alliances". Informaworld.com. Retrieved 2012-06-19. ^ Troster, Rabbi Lawrence (15 January 2013). "Dark Green Environmentalism: On Tu Bishvat, Jews Must Move Beyond 'Light' Activism". Huffingtonpost.com. ^ Chris Jensen. "Dark Green and Bright Green Environmentalism - Green Future Solutions". Greenfuture.sg. ^ "EEN". Creationcare.org. 24 November 2002. Archived from the original on 24 November 2002. ^ a b Manes, Christopher, 1990. Green Rage: Radical Environmentalism and the Unmaking of Civilization, Boston: Little, Brown and Co.
^ A Brief Description of Radical Environmentalism, Jeff Luers, 4 Struggle Magazine, 26 September 2005. Guha, Ramachandra. 1999. Environmentalism: A Global History, London, Longman. Hawken, Paul. 2007. Blessed Unrest, Penguin. McCormick, John. 1995. The Global Environmental Movement, London: John Wiley. de Steiguer, J.E. 2006. The Origins of Modern Environmental Thought. The University of Arizona Press. Tucson. This page was last edited on 7 April 2019, at 21:07 (UTC).